Manatees hang in the water at the Tampa Electric Company (TECO) in Apollo Beach, seemingly born by the currents of oblivion as little fish nibble at their skin and sharks school protectively around them. At a distance they are nothing but brown bumps, little islands. When one glides by, dappled with light that barely penetrates the murky water, the motion seems inexplicable, magical, generated by neither fin nor muscle. 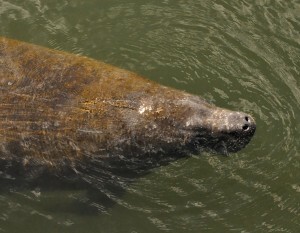 The closest we’ve ever come to a manatee is a news report. 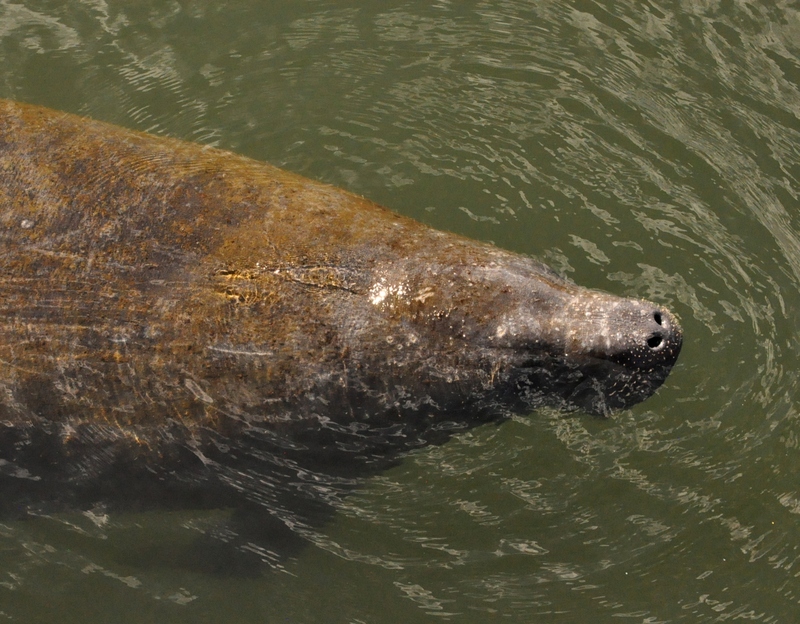 A directionally-challenged sea cow quickly dubbed “Chessie” was drifting around the mid-Atlantic seaboard. In 2001 he floated up the Delaware River; in 2011 he reappeared in the Chesapeake Bay, in a cove somewhere in Calvert County. 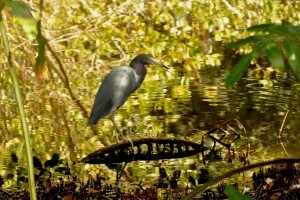 I like wildlife and Florida abounds in it. 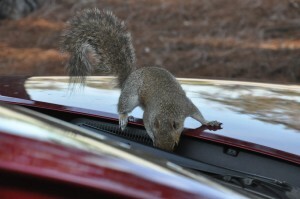 A squirrel, for instance, found an acorn in the wiper well of Red Rental Kia. The acorn likely fell there from the tree that shaded RRK while we wandered around the Ringling. Was it attracted by the aroma of roasted nut? Florida—at least along the Gulf Coast—is lousy with lizards, arboreal and terrestrial. There were moments when I feared I would inadvertently step on one, but none was caught by a misplaced sole. 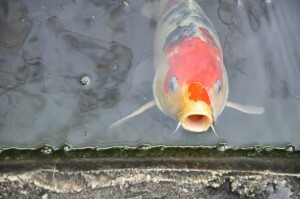 The koi at the Marie Selby Botanical Garden are immense and extremely friendly—both conditions the probable result of visitors who purchase koi food along with human snacks at the café. 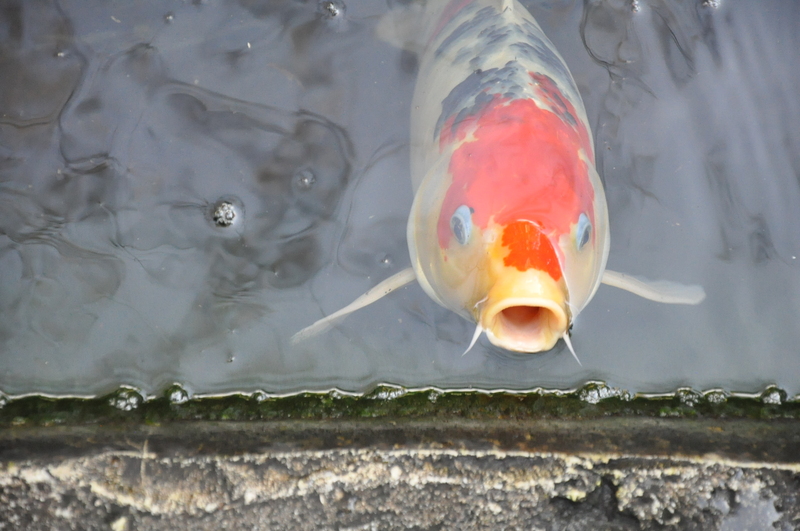 I stroked broad foreheads, caressed dorsal fins—it was a veritable koi petting zoo. There were alligators, gopher tortoises and armadillos in Bonita Springs where we went to see friends in their winter paradise—but I didn’t get to see an armadillo. 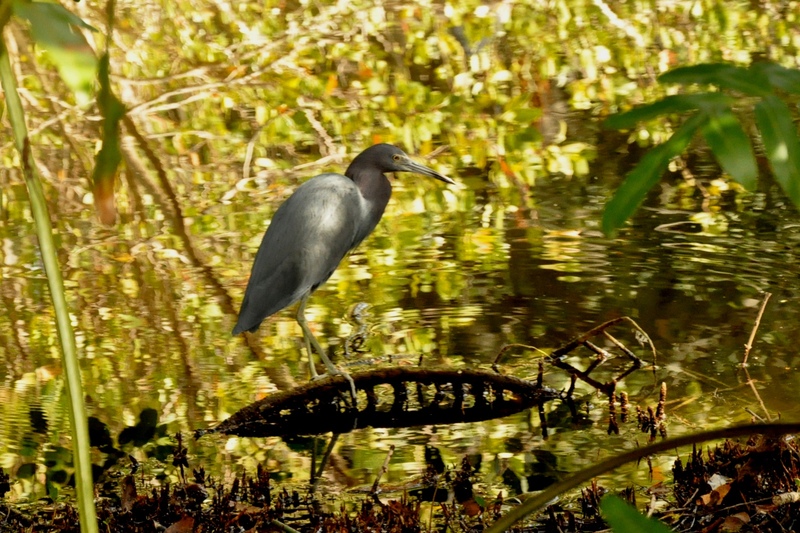 I’d need a bird book to know exactly what kinds of herons feed in lagoons and at the edge of mangrove swamps. Not as many butterflies as I expected, though. The big item in the news was the beginning of a month-long bounty hunt on pythons. A few pythons released deliberately or inadvertently into the wild have turned into 150,000 snakes in the wild. They are achieving lengths up to seventeen feet, devastating bird and deer populations, and preying on dogs and cats. It is now illegal to own a python; about five hundred serpent seekers are competing for substantial cash prizes: $1000 for the biggest snake, $1500 for the most snakes. The recommended method of execution is a gunshot to the head or decapitation with a machete. No news account has mentioned whether there will be a cook-off.